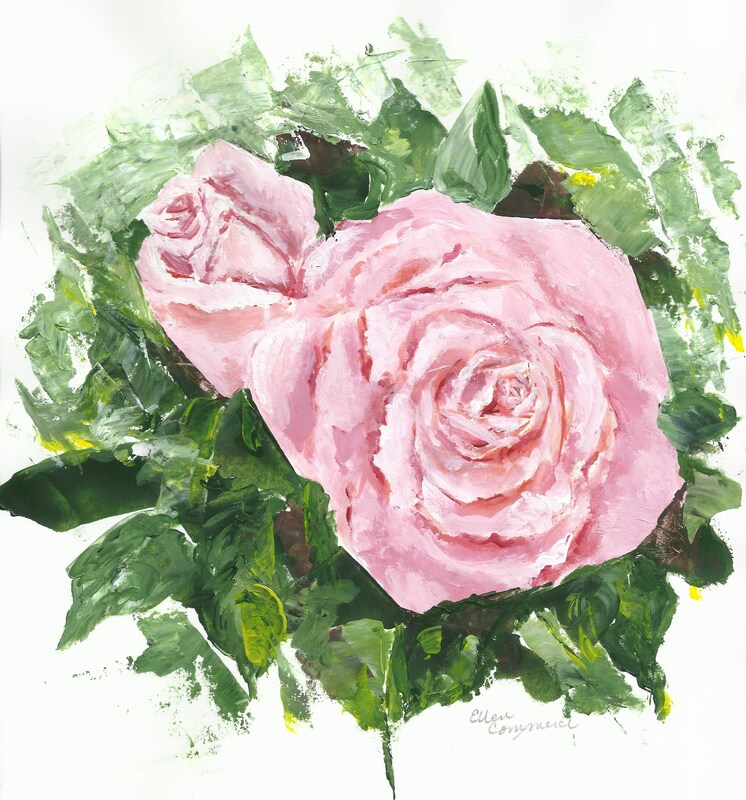 "Roses On White" is an acrylic, painted mainly with a palette knife for texture, with signature in pencil. Contemporary feel, with its stark plain white backdrop. I painted this on heavy acid-free card stock, using a paint knife, with some minor brush detailing, from a beautiful bouquet in a vase at my table. I imagine the painting in a gold frame, though green, gray, white or black could easily work! I'd love to paint a CUSTOM impression for you from a special bouquet you have photographed! A special memory capture of wedding flowers, for example. Display long after the actual flowers have faded, and perhaps give as a First Anniversary gift!